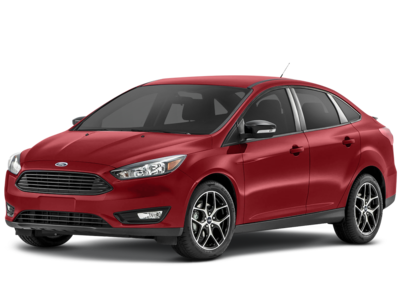 The 2014 Ford Focus is number 10 in our list for Best Under $15,000 Compact Cars. Current inventory meeting this criteria averages 40,203 miles. The 2014 Focus achieves a combined MPG figure of 30. Scroll down to see what's available in your area right now. The 2014 Volkswagen Jetta is number 9 in our list for Best Under $15,000 Compact Cars. Current inventory meeting this criteria averages 34,821 miles. Fuel economy is rated at 29 MPG combined. Take a look below to find the Jetta in your area that suits you best! 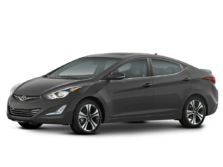 The 2014 Hyundai Elantra ranks eigth for Best Under $15,000 Compact Cars. Current inventory meeting this criteria averages 39,150 miles. The 2014 Elantra achieves a combined MPG figure of 30. Scroll down to see what inventory is available in your area - hurry, before these great deals sell out! The 2012 Toyota Prius ranks seventh for Best Under $15,000 Compact Cars. 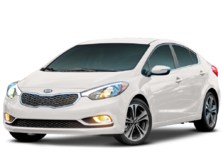 Current inventory meeting this criteria averages 78,098 miles. The 2012 Prius achieves a combined MPG figure of 50. Scroll down to see what's available in your area right now. Slotting in at sixth for Best Under $15,000 Compact Cars is the 2011 MINI Cooper. Current inventory meeting this criteria averages 68,964 miles. Fuel economy is rated at 31 MPG combined. Take a look below to find the Cooper in your area that suits you best! Slotting in at fifth for Best Under $15,000 Compact Cars is the 2013 Honda Civic. Current inventory meeting this criteria averages 51,597 miles. Fuel economy is rated at 32 MPG combined. Scroll down to see what's available in your area right now. Ranking fourth for Best Under $15,000 Compact Cars is the 2014 Toyota Corolla. Current inventory meeting this criteria averages 40,751 miles. Fuel economy is rated at 33 MPG combined. Scroll down to see what's available in your area right now. Coming in at number 3 in our list of Best Under $15,000 Compact Cars is the 2014 Nissan Sentra. 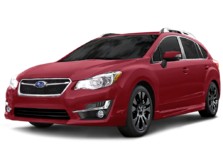 Current inventory meeting this criteria averages 36,870 miles. Fuel economy is rated at 33 MPG combined. Take a look below to find the Sentra in your area that suits you best! The 2015 Toyota Prius v is number 2 in our list for Best Under $15,000 Compact Cars. Current inventory meeting this criteria averages 32,904 miles. Fuel economy is rated at 42 MPG combined. Scroll down to see what inventory is available in your area - hurry, before these great deals sell out! Coming in at number 1 in our list of Best Under $15,000 Compact Cars is the 2016 Ford C-MAX. 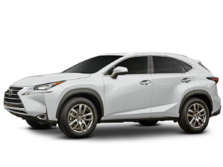 Current inventory meeting this criteria averages 24,355 miles. The 2016 C-MAX achieves a combined MPG figure of 40. Scroll down to see what inventory is available in your area - hurry, before these great deals sell out!